Many “victims” have been suffering in silence for years in meetings that never end, or conversations that drain the life out of them. It can be tricky to tell people that they talk too much. And in cases where the offender is someone more powerful, like a senior executive or important customer, it can be downright risky. 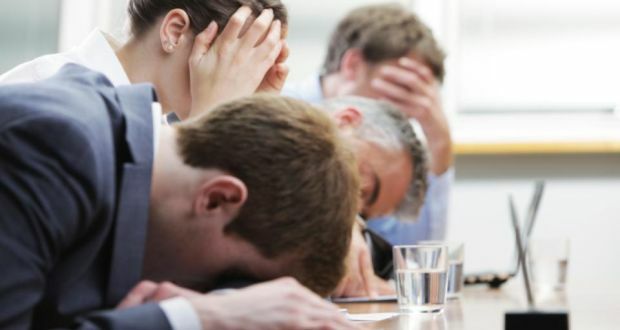 As a result, many “victims” have been suffering in silence for years in meetings that never end or conversations that drain the life out of them. As the saying goes, a rich man’s jokes are always funny. Many senior leaders are long-winded in some situations and not others. Does your boss tend to deliver an Oscar acceptance speech only when big clients come to the office and meet you in the conference room? Will your biggest client complain for hours about his divorce case over lunch, but not if he stops by the office? Are management monologues more likely to occur when there’s no formal agenda, if you’re on a phone call with no time constraints, or when no one asks any questions? Take note of when your culprit tends to dominate the conversation so you can change the setting or circumstances. All of these clues can indicate what the core problem is - and help you devise a plan of attack. There are a few different methods to help someone be more succinct. Before you choose one, consider the payoff to the offender. Perhaps he or she will benefit from a more productive team, greater collaboration, faster results, less frustration, fewer misunderstandings, or a savings of time. Once you’ve honed in on a benefit, consider how direct you should be. If your target is not good at picking up cues that listeners are getting bored, you may need to be direct. Other excessive talkers may require a more diplomatic approach. Many leaders get better at being clear and concise once they work on it, then fall back into bad habits. I’d also suggest embracing brevity in your meetings by using tighter agendas and shortening or eliminating PowerPoint presentations to foster better, more concise conversations. In other words, personally commit to being brief as well to set an example. It can help you spread the challenge of being better by being brief. Joe McCormack is founder and managing director of the Sheffield Company, an award-winning boutique agency. His recent book is Brief: Make a Bigger Impact by Saying Less.